Monday 4th February saw Griffith College present St. John’s De La Salle with a €5,000 cheque, having been chosen as the college’s overall winners of its STEAM (Science, Technology, Engineering Arts and Maths) Bursary Initiative. 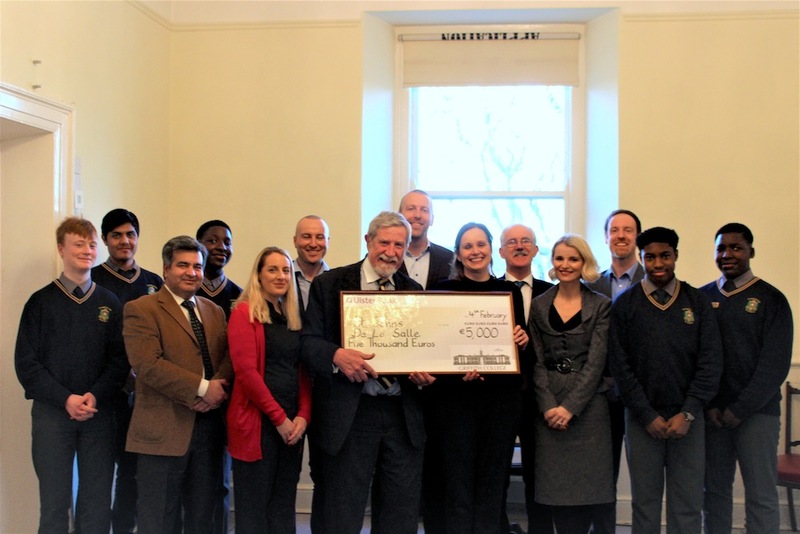 A panel of judges including Griffith's Ciara Browne, John Molohan, Claire Aston and Dr Waseem Ahktar along with Siobhan O'Shea of CPL, deliberated over a plethora of applications to choose one overall winner and four runners-up. Griffith College President Professor Diarmuid Hegarty presented the school's principal Ann Marie Leonard with a cheque on behalf of the college to be used to improve STEAM related equipment. Griffith College has been shortlisted for “Best Outreach Initiative” by the Education Awards 2019 for its STEAM Bursary Initiative. The initiative, in partnership with CPL, was launched to promote the uptake of STEAM subjects at DEIS second level schools.